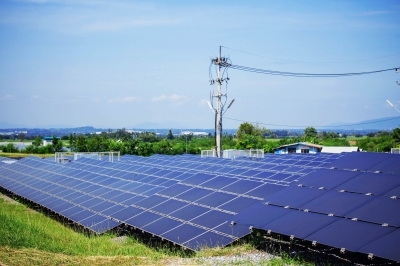 Hive Energy and Germany-based Wirsol, through a joint venture SPV Cleve Hill Solar Park, have announced a proposal to develop a 350MW solar project in North Kent Coast in the UK. The two developers say that the project could be built without any subsidies. The huge size of the project has led it to be classified as a Nationally Significant Infrastructure Project (NSIP), which means that the project needs approval from the Department for Business, Energy and Industrial Strategy Secretary of State Greg Clark, PV Magazine reported. The project will be located Britain’s North Kent Coast and a relatively low-grade farm land is expected to be used for the solar farm’s construction. It could generate enough electricity to be supplied to 110,000 UK homes. The developers said that the project will be connected to the existing National Grid transmission network. The developers also plan to include an energy storage system at the plant to provide balancing services for the grid. It is estimated that the project could bring £27.25m in investment over the project’s life time, while providing more than £1m per year to the local government in terms of taxes. Image: The 350MW solar project has been classified as NSIP and it needs permission from BEIS, UK. Photo: Courtesy of RK008/FreeDigitalPhotos.net.